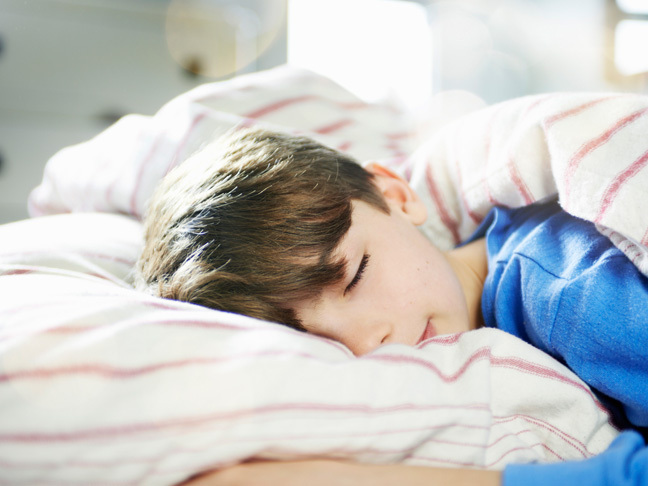 How Much Sleep Do Kids Need? Here’s A Guide By Age. Parents who bring their children to my paediatrics practice often ask me how much sleep their kids need. Medically speaking, it’s an important question to ask, because sleep is a vital restorative process that can affect overall health, daytime sleepiness, behaviour, and development. 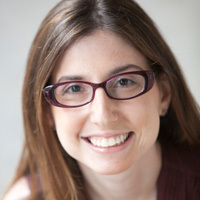 So, you do need to be mindful of whether your child is getting enough sleep. As a mum of three boys, however, I know it’s not as simple as laying your baby or toddler or even big kid down at night and willing him to fall asleep right away and stay asleep as long as you want him to (wouldn’t it be amazing if that’s how it worked?!). Sleep 14 to 18 hours a day (*but on a very irregular schedule). The sleep periods can be varied ranging from a few minutes to hours. Newborn sleep can be very fitful seeming with lots of movement and grunting. 12 to 15 hours a day, with about 10 to 12 hours at night and 2 to 4 hours during the day. Starting at 4 months, you can start sleep training to help regulate your baby’s sleep (if you wish to). 11 to 14 hours of sleep in a 24-hour period, including one to two naps. Most children continue to take two naps a day until around 15 months at which many will start to transition to one nap a day. 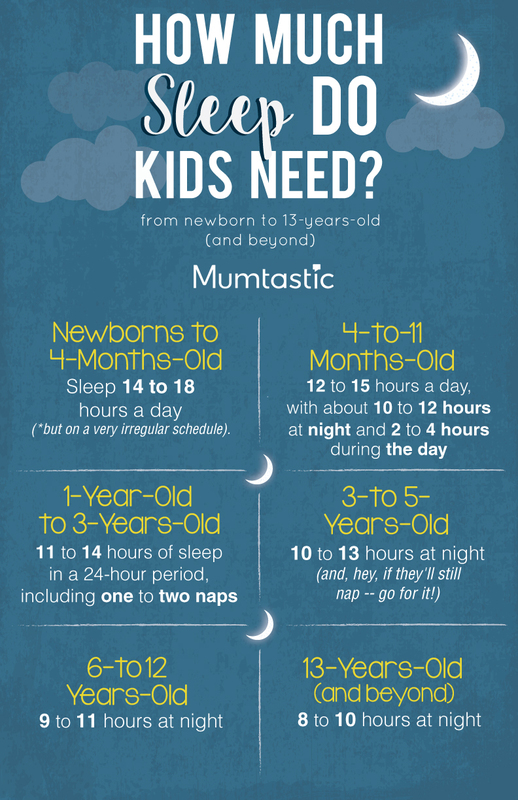 10 to 13 hours at night (and, hey, if they’ll still nap — go for it!). 8 to 10 hours at night; with early school starts and rigorous school-work this can often be hard to accomplish. It is important to limit screen time before bed and not allow children to have screen in their rooms. My Son Had a Surprising Allergy Scare After a Trip to the BeachNight Terrors vs. Nightmares: What’s The Difference?